Search Results for "hong kong traffic light"
HONG KONG, CHINA - MARCH 30, 2016: Walking on streets in Hong Kong. Red traffic light and a pedestrian crossing. Cars drive on a road. HONG KONG, CHINA - MARCH 31, 2016: Crossing the road using pedestrian crossing, walking along the street. Green traffic light. Daytime. Hong Kong. HONG KONG, CHINA - APRIL 2, 2016: People cross the road at the traffic light. City view. Night. Hong Kong. HONG KONG, CHINA - APRIL 2, 2016: Crossing the road at the traffic light and walking towards the tramway. It's the first modern public transport of Hong Kong from 1904. HONG KONG, CHINA - APRIL 2, 2016: Crossing the road at the traffic light and view of the road with cars and public transport driving. Night city of Hong Kong. HONG KONG, CHINA - APRIL 2, 2016: Crossing the road at the traffic light and walking towards the tramway stop. View of the two-storeyed tramway, the first modern public transport of Hong Kong. Hong Kong - October, 2014: Man crosses the road on a red signal of a traffic light. Traffic light changing red, yellow and green colors against tall shiny glass modern buildings or skyscrapers on background, Hong Kong. LED road signals on street of city center. Camera stays still. HONG KONG, CHINA - APRIL 29, 2017: Tram Ride at Percival Street in Hong Kong, China. 4K, Time lapse cityscape at hong kong night. Motion time lapse shot. 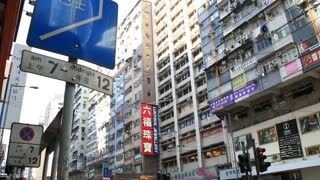 Timelapse of a busy intersection in Hong Kong. Time Lapse of Cars Traffic in Hong Kong at Night. Zoom In Effect.